Truck driving puts a lot of stress on the body. Just spending hours behind the wheel can take its toll no matter what type of vehicle you are driving. 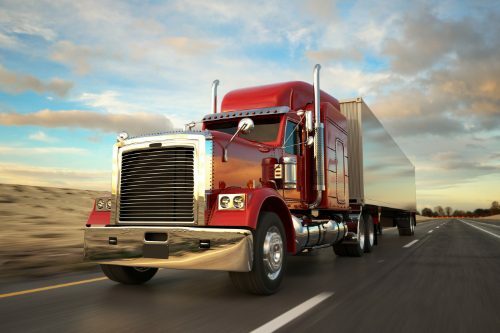 When you factor in the shifting, steering, clutching, and constant monitoring that is required in a big truck, you have increased risk of neck, back, arm, hip, and leg pain. If they drive a type of truck that requires loading, unloading, or tying down a load, the probability increases even more. Many drivers experience pain, difficulty in mobility, and decreased flexibility. This can impact how well they perform their job as well as how much they enjoy their downtime. Often, drivers must also perform certain functions regarding what they are hauling. Some have to secure their load with straps and tie-downs or have to handle heavy hoses and equipment to load and unload tankers. When a driver first visits a chiropractor’s office, he or she will go through a thorough check-up and assessment to determine their needs and goals. The chiropractor may recommend certain lifestyle changes and show them some exercise they can do in the truck or while they are on the road as well as ways to minimize the effects of the activities their job requires.